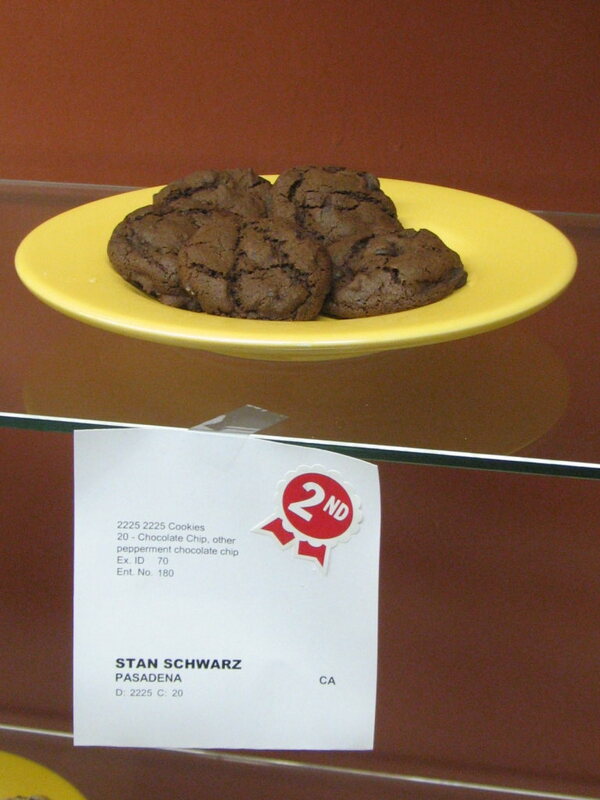 Chocolate cookies: These won 1st place in the chocolate cookies division at the 2012 Los Angeles County Fair. 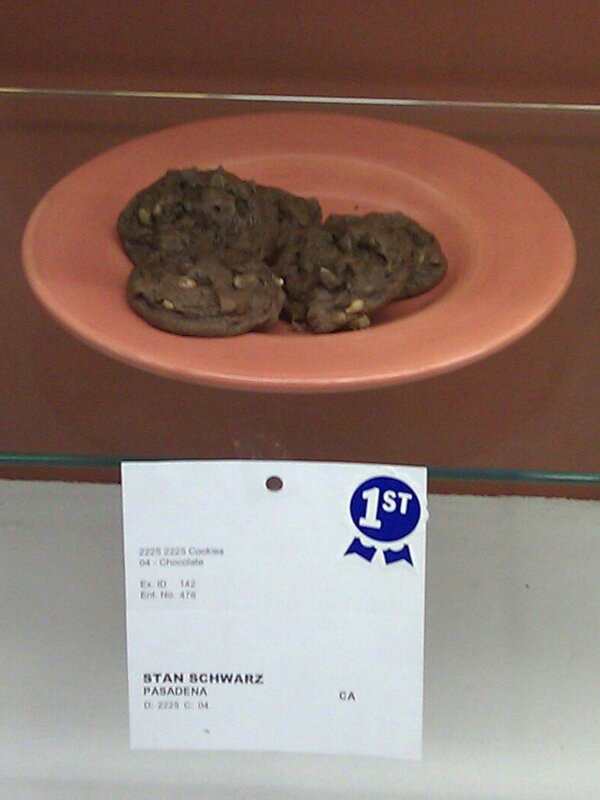 Chocolate chip cookies: This recipe placed 4th in the traditional chocolate chip cookie division at the 2012 Los Angeles County Fair. Peppermint chocolate cookies: This recipe won a second-place ribbon at the 2010 Los Angeles County Fair. Blueberry muffins: This is Lucinda's and my favorite recipe. I started with a recipe I found on the net and then modified it over many, many test runs until we all agreed it was the best. 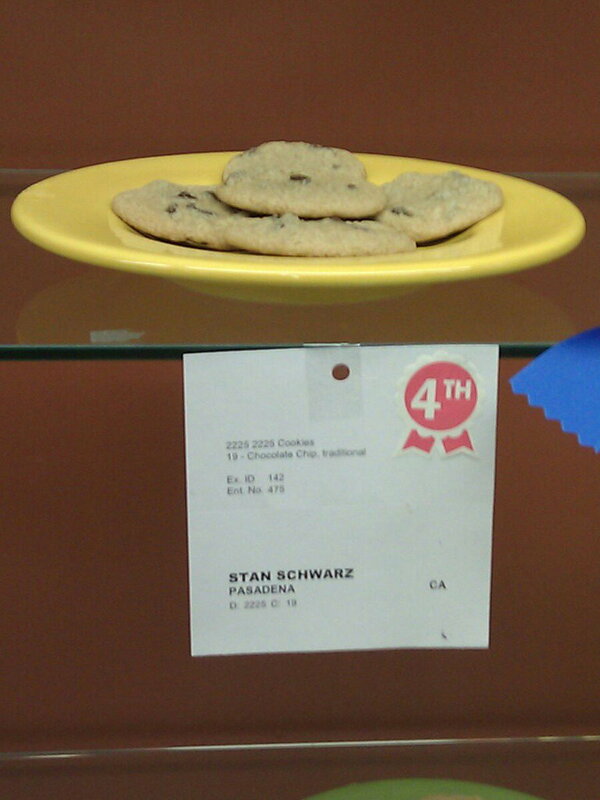 This recipe won second place in fruit muffins at the 2013 Los Angeles County Fair. Cinnamon sugar cookies: Sweet and chewy. The cookies are soft, but have a little crunch around the edges. Oatmeal cookies: This recipe started with the one in The Joy of Cooking, but it's been modified slightly. Black Walnut Bread: This is an old family recipe. The bread is slightly sweet, with bitter black walnuts. It's quite good toasted. Chocolate muffins: These can be made with peppermint for a little extra thrill.